Choose your props - I'm happy to make suggestions! Meet me (your photographer) at your winery 2 hours before sunset (or before close). I'll help set up your picnic or table so it looks perfect in your photos, then we'll get started! We'll spend an hour taking candid and posed picnic photos. I'll give you some time (how much is up to you), usually about 30-45 minutes, to spend together enjoying your meal. I will still take some photos of you from afar. 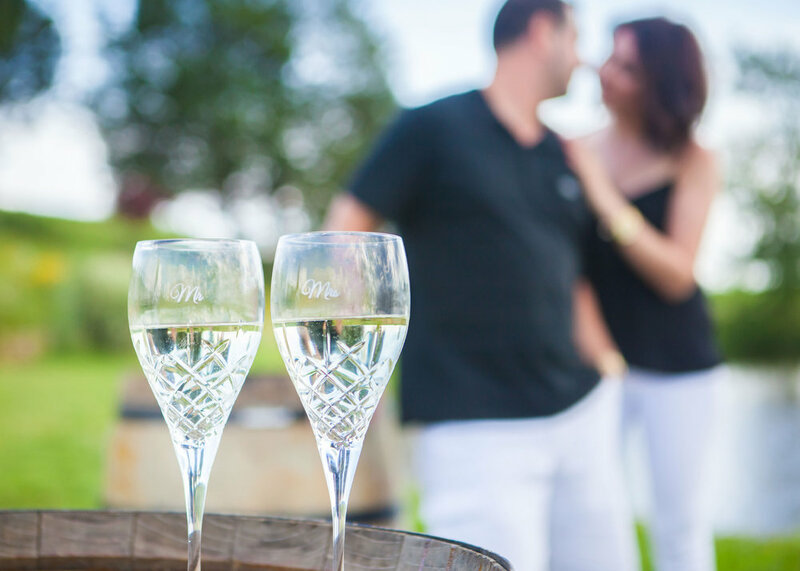 We'll spend an hour before sunset taking photos amongst the vines and other picturesque spots around the winery.